There’s a post on PlayStation’s Hungarian Facebook page which is getting a lot of attention today, suggesting that PlayStation Plus is about to get “even better”. It’s led to all kinds of speculation, as you may expect, spanning additional free games through to new features. But what you may not know is that PS Plus Rewards – which the aforementioned social media post pertains to – is an added incentive live in many European regions already. If you’re in the UK, for example, you can currently score a 10 per cent discount on a Pure Gym membership or 10 per cent off the official Adidas shop. Other offers include a free weekly pass to Sky Sports via Now TV, and 50 per cent off a day pass. You obviously need to be a PS Plus member to claim these, but the process is as simple as signing into the website and landing your rewards. We’re not sure why this isn’t getting more promotion, but now you know. Give us another game per month and it's fine! Not interested. Just drop the price by £10 or give us extra games. More power to those who can benefit from these rewards though. Ok, 1% of all PS+ subs that live in UK get those cool rewards. What about the 99% in the rest of the world? @grbolivar The rewards are live in other countries, too. As if us nerdy gamers go to the gym. Silly Sony. I don't know, I actually think these are decent extra incentives. @Landstalker PS+ is already good value when you add it up for a year. If Sony can somehow get discounts at gyms w/ PS+ how about discounts on PS Vue and PS Now, things PS4 owners might actually want? @get2sammyb me too thanks for posting this going to Grab the NowTV ones & the Adidas deal now. @David187 I would grab them if the damn site would let me login! This just feels a bit unnecessary. Secondly, I do believe I got a few mails from time to time but I never even tried exploring the contents much as nothing caught my eye. Ohhh a half price day pass for the one time a year Everton are on the TV. Yes please. We lose 2 0 against Fulham and demand a refund. I want them to drop the price by about 75%, give 2 more games for PS4, reinstate PS3 and PS Vita games as well with 4 each, plus include PS Now and PS Vue along with the subscription. I also demand that they cover my medical costs and pay my salary. Idk, Unidays is mostly better discounts with less hassle. Good for people that aren’t students ofc. I don't think I bought a Playstation to care for any gym membership lol. Even if I lived in the UK, this isn't personally appealing. In Brazil, the only discount I'm aware of is Spotify, which offers a 10% discount for PS Plus subscribers. I wish we had more. If the online portion for gaming went free like it was in the PS3 I’d drop Plus. Seeing Live users get 6 games is now a kick in the balls to Plus users. @get2sammyb I had the same issue with using Chrome. But I have Opera installed, and that worked fine. @Paranoimia Yeah, weird one. I managed to get it to work in Edge. @RenanKJ I'd take a 10% discount on Spotify all day. I wonder if Mexico has any discounts? I kinda doubt it though since I've heard 0 about this sort of stuff. Used the sports Pass earlier in the year. Decent I guess. System definitely needs a rethink of sorts though. Here's a thing, though... I'm a PS+ subscriber; I live in Norway. They have my email address and they have my phone number. Do I have any extra goodies coming to me that I don't know about? Well, I don't know, do I? They never told me about these things! The fact that the headline is "PS Plus Is Offering More and You May Not Realise It" tells me that bonuses offered to subscribers that those same subscribers can only access by doing Sherlock Holmes level investigations are not really bonuses they want their customers to enjoy, are they? If a service I'm paying for is offering awesome benefits without telling me about it, then that's kinda poopy. "You're not happy? Well, we gave you this awesome new car we never told you about, but still you're whining about fewer games on the service... and in the meantime, your shiny new car is rusting away". Sony needs to do better for all regions. I still didn’t receive the platinum avatar of Spider-Man and God of War. Sigh, I couldn’t even check my gaming stats because it’s not available in my region. @FuriousMachine If Norway is not receiving these benefits, there is no hope at all for my country, lol. @PS_Nation yeah, I searched for that Game of Thrones theme then discovered it was US only. I guess you can’t complain about getting more, but it’s not what I’d really like to see to improve the service. I reckon we’ll see more bang for our buck when the ps5 releases, coz we’ll likely get more games and perhaps some other bells and whistles we don’t know about yet. I already get 10% off Spotify and I also got Netflix free for 3 months with my ps+ sub, so I think that is really good. These deals have been going on for ages now, but I have opted in to receive emails from Sony. OK I see a lot of you wanting cheaper subscriptions for Ps+ well on Hot UK Deals you can get 12 months for £36.99 at the moment, not sure I can post company name so won't but just go on hukd and search Playstation. That's £3 a month. @rjejr Agreed, the My Nintendo stuff is garbage. Thankfully, Nintendo offers Gold Coins for every eShop purchase that can towards MORE games. I finally gave up and went all digital for Switch. The $0.60 in Gold Coins value for a physical game doesn't compare to the $3.00 in Gold Coins value for the same game off the eShop! I have managed to get a few indie titles for free between sales and Gold Coin values. @get2sammyb you can’t sign into the site unless you allow all third-party cookies. It’s quite annoying. @NintendoFan4Lyf Gold coins are nice - I've been borrowing a bunch of Switch games from the library just for the coins b/c believe me, nobody wants to actually play Dreamworks Dragons Dawn of New Riders, it's a horrible broken mess - but the problem is people who owned a Wii U or a Switch can use their gold coins for 10%, 20%, 30% off and Switch owners who are buying $60 games get 60 cents off. And My Nintnedo should be how Nintneod is advertising long forgotten games like 1 2 Switch which should have been free and bundled in the first place. Nintnod is always advertising "over 1,500 games on Switch". Well, put 3 of them in My Nintneod for 50% off w/ 100 gold coins. My Nintendo is more of an insult than a bad joke, even if I am getting free gold coins for the library, I'll probably never use them. I have 925 and they'll probably expire before I use them. It's also lame that Dragalia Lost, which is a very fine free mobile game that is everywhere on the My Nintnedo website, neither earns platinum coins nor are there platinum coin rewards for it like there are for the other 3 mobile games SMR, ACPC and FEH. I mean how stupid is that? aw man, quitting now, just realized where we were. So, how 'bout that Dreams Early Access huh? @rjejr You have 925 coins you can't use for anything?! Seriously? You couldn't find a single game in the eShop that you can take $9.25 off the price? As far as Dream Early Access, I can dig it. I don't think it's available to buy in North America, yet - if it is, it's either been delisted, or you can't buy it using the PS App. @NintendoFan4Lyf Dreams isn't in the US store yet in my PC web browser. I think Sony is taking this opportunity to promote "Dream Daddy: A Dad Dating Simulator" in the search results for people looking for Dreams. There are a few things I want on the eShop but I'm waiting for new President Bowser to give us the "blockbuster sale" that the EU'UK are currently having. Also waiting for Mushroom Wars 2 to go on sale since it released last July but it hasn't been on sale yet, it's due. But mostly I'm holding out for Nintnedo to put Switch games on the eShop so I can use those coins instead for 30% or 50% off games so the coins have more value than 1 cent each. I don't really care about discounts on other programs. 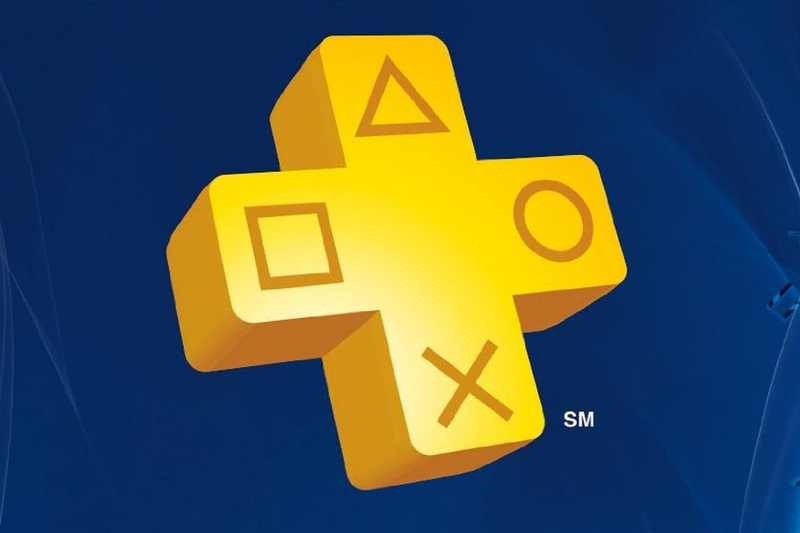 The only thing PS Plus is useful to me for is discounts on games or free games. @NintendoFan4Lyf "You have 925 coins you can't use for anything?! Seriously? You couldn't find a single game in the eShop that you can take $9.25 off the price?" I was just looking all over NL for this thread, I'm surprised we haven't been taken out behind the woodshed for a beatin' yet. Anyway, I just found a good use for my gold coins, tax. My son wanted to buy the SSBU season pass for $25 w/ 1 of those $25 Visa cards which are all but useless - why anybody gives them for gifts I'll never know - so I paid the $1.98 tax w/ gold coins. We got 123 gold coins back so basically broke even. I had 120 expiring next month anyway. Now after all that number crunchin my kid is playing Dreams b/c the 3.0 update hasn't, um, updated yet. But anyway, gold coins = tax paid. sounds like sponsor links Sony is getting a kick bask for sending you. If it has nothing to do with gaming its useless on PS Plus!! No one cares about us! I never see any kind of discounts and I bet other small countries are the same...so I expect a THIRD game for plus or a huge discount in ps now!